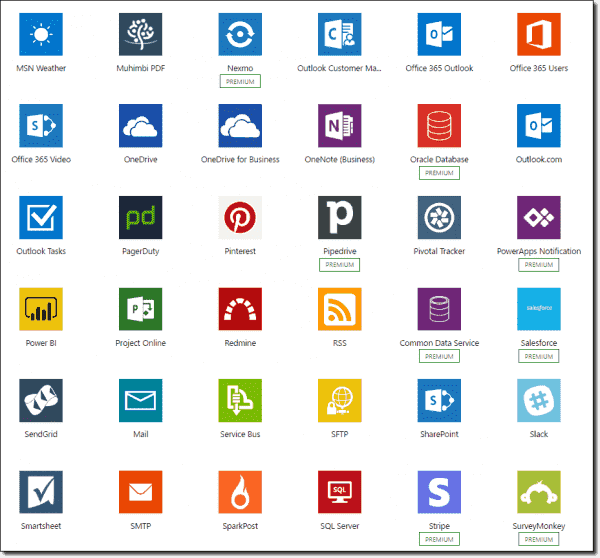 In this article, we will have a look at Microsoft Flow, an automated online workflow service. 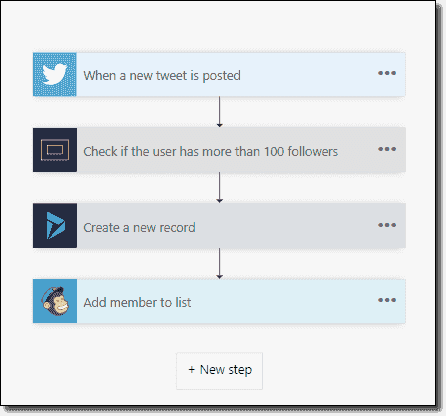 You can use Flow to automate a large variety of tasks, such as sending yourself a text message when your boss e‑mails you, adding Twitter followers to Dynamics 365, or backing up your files. To illustrate Flow's capabilities, we will create a new flow to upload attachments of e-mail messages received from a specific sender automatically. 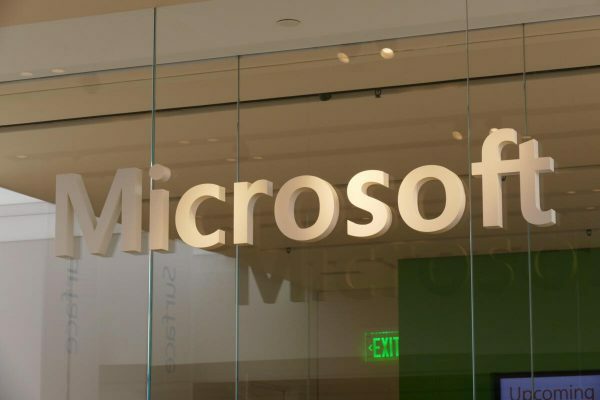 Microsoft Flow is an online service that allows us to set up automated workflows between a very wide range of apps and services to get them connected in many different ways. You can also customize your own templates based on your needs. Flow works with connectors, and each connector is designed for a specific purpose, including but not limited to syncing documents automatically, sending e-mails, posting on social media, and backing up your data. 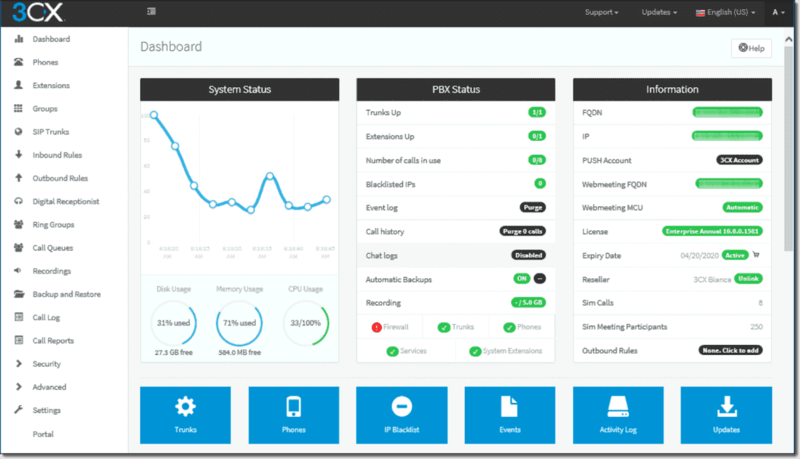 There are also predefined templates preconfigured using available connectors, and these templates are pretty easy to set up in minutes. 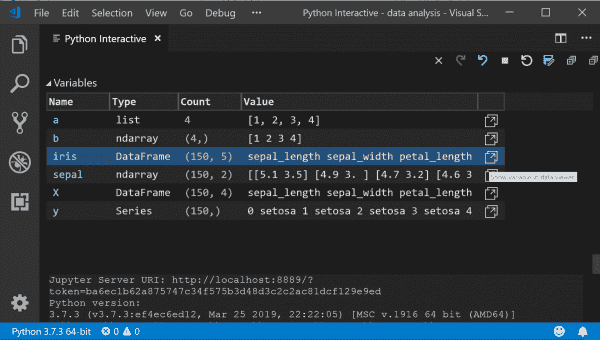 Flow also allows you to create your own templates using its available connectors and simply connect them with any supported third-party services or tools. Here are a few examples of applications Microsoft Flow supports in terms of automation. You can find many templates related to these applications in the Flow template section. 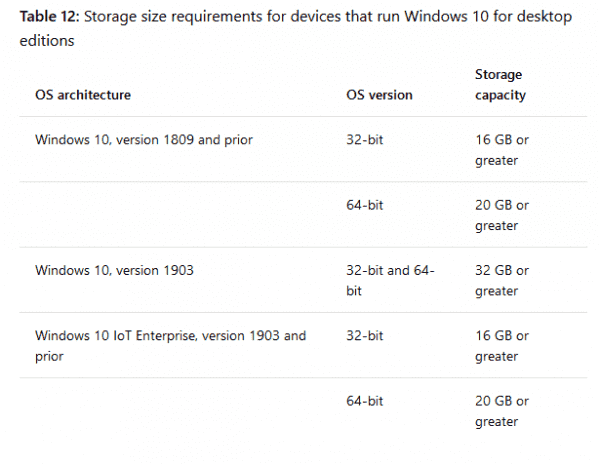 If you don't already have a Microsoft account, you have to create one first. 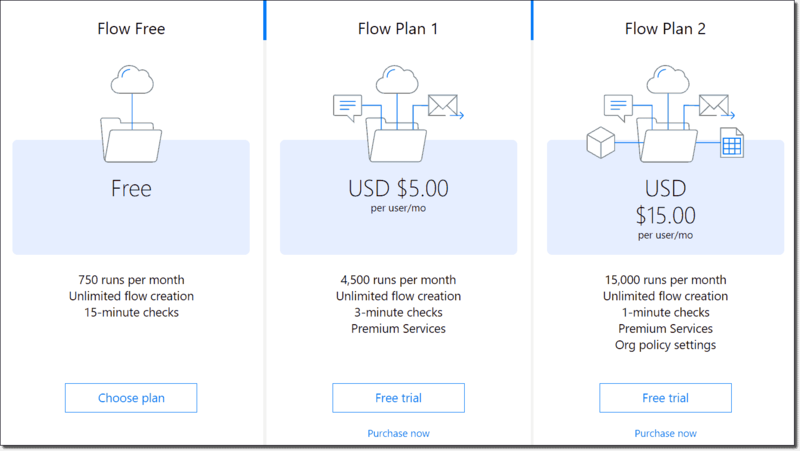 There are different Microsoft Flow plans that offer different features. For starters, you can just begin with the free one. Flow is based on event/action strategy. So the flow listener service triggers when a specific event defined earlier occurs; then Flow takes the required action right away. You can customize your flow by adding some extra conditions and actions to make it more powerful. Let's have a look at one of the most preferred flows, which lets us upload specific e-mail attachments to OneDrive for Business. Flow has many templates that provide a wide range services in terms of automation. Flow first checks the requirements of the flow you select before it starts to configure details. 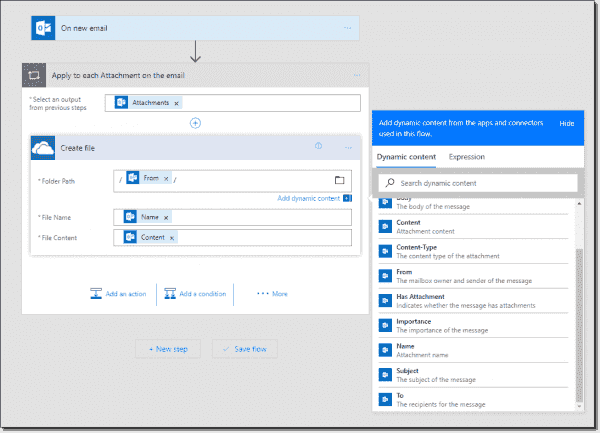 For example, if you want to upload e-mail attachments to OneDrive automatically, Flow will require that you provide your credentials for both your e-mail and OneDrive accounts. Flow always checks first the prerequisites of what you ask it to do. Now it is time to define the details such as sender/recipient information and OneDrive upload location. There are basically two things to consider here: conditions and actions. We need to define what we want here clearly by providing Flow the details. 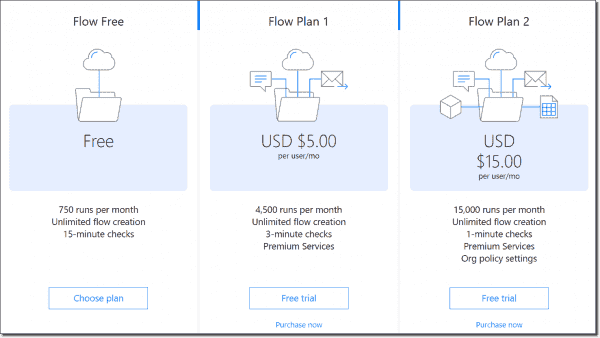 Here you can customize your flow in many different ways. Each flow template individually provides many different options depending on the intended purpose for using the template. 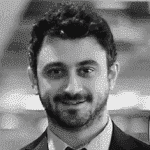 What I basically defined here is that when receiving a new e-mail from the sender ookutucu@hotmail.com, Flow will check the attachments if it recognizes the e-mail. If Flow finds any attachments based on the rules I specified, it will upload those attachments to OneDrive for Business. 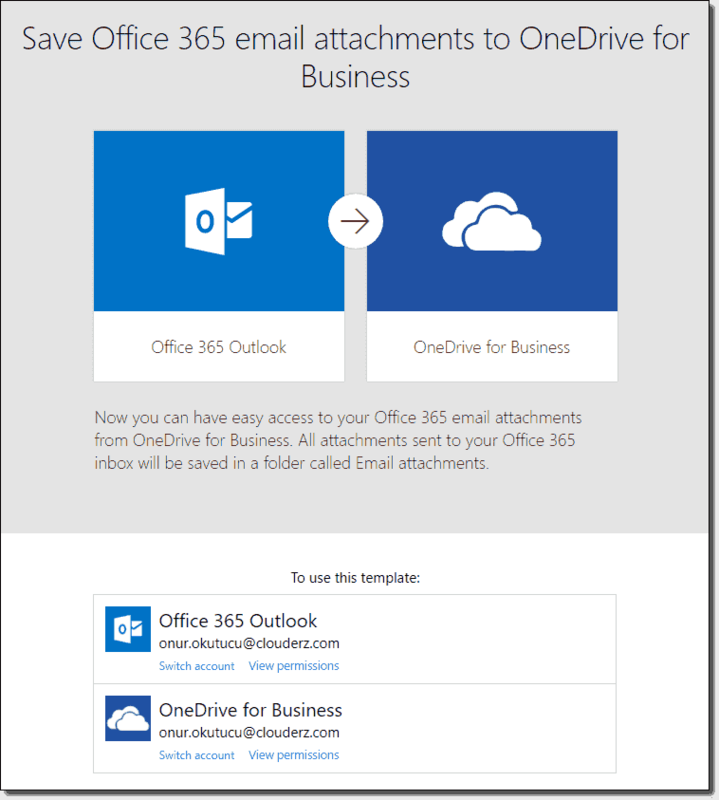 You can also specify the exact location of OneDrive for Business where the flow uploads the attachments. We are now ready to save and test the flow! After saving flows, you can find them all under the "My flows" section as shown below. Here you can also manage your existing flows. Now we can test our flow by sending a new e-mail from the configured e-mail address, which the flow will recognize based on the condition specified. 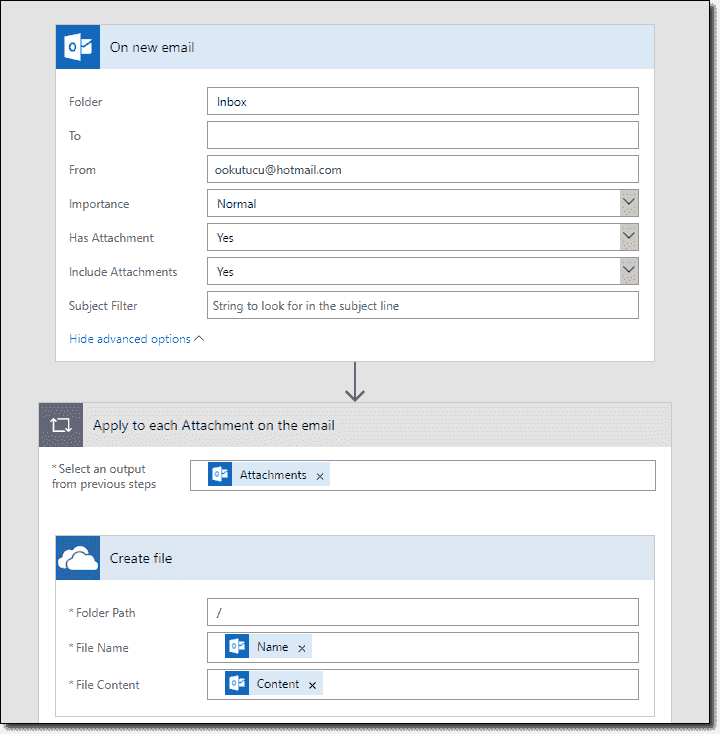 Once the e-mail arrives in the mailbox, the flow takes the action of uploading the attachments to OneDrive. And yes! The expected e-mail has arrived and the event triggers the flow. 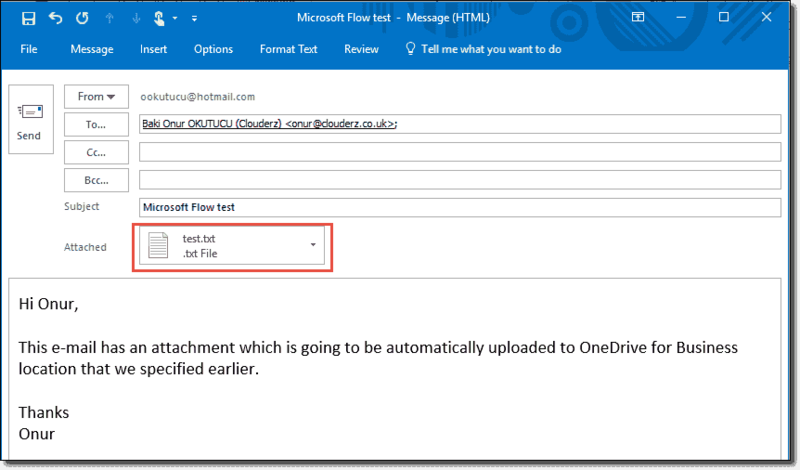 Finally, the flow uploads the attachment automatically into the OneDrive for Business root folder. You can customize thousands of combinations available in Flow. It is always exciting to connect many services in an automated manner. Flow is one of the simplest ways to automate your everyday tasks.